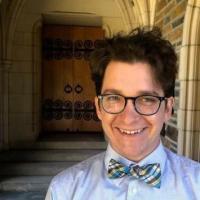 Jonathan Homrighausen is an Episcopal writer and scholar on Scripture, art, and interreligious dialogue. He is currently pursuing a PhD in Hebrew Bible/Old Testament at Duke University, after earning his MA in Biblical Studies at the Graduate Theological Union in Berkeley, CA. His current focus is visual art and the Bible.